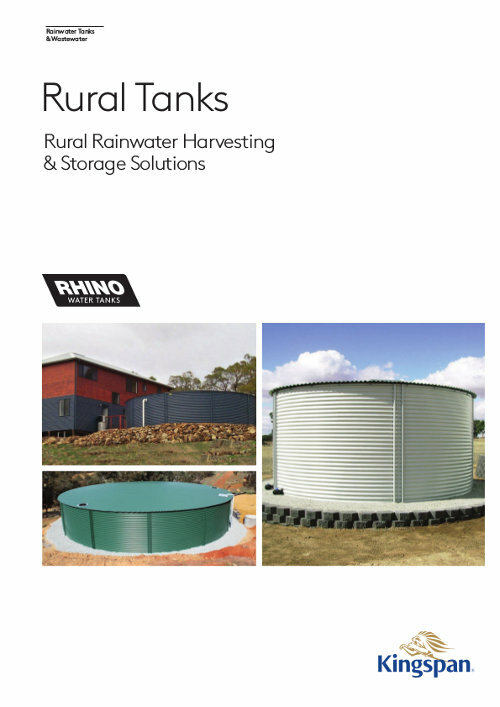 Kingspan Rhino Water Tanks manufactures exceptional quality modular steel water tanks for domestic, rural and industrial purposes using the latest liner membrane technology. These modular steel tanks range in size from 26,000 to 275,000 Litres, come in Zincalume or the full range of Colorbond®. All tank components and our Infinity Liners are fabricated in our Western Australia factory, which means total quality control of every aspect of the tank manufacturing process is maintained. Kingspan Group, the world's largest manufacturer of premium and high performance insulation and building envelope solutions, has acquired Rhino Water Tanks, a leading manufacturer and supplier of steel water tanks for the Rural & Commercial sector in Australia. At Rhino Water Tanks, we always come charging with the best products and deals. Our large corrugated domestic and rural water tanks are available in a variety of sizes and COLORBOND® colours to suit your every need. Backed by our 20 year warranty, your Rhino tank is ideal for rainwater harvesting or bore water storage. All domestic and rural water tanks come fitted out to your specifications, ensuring these meet the need of your home, farm, garden or property. We manufacture our tank shell, roof trusses and liner in the same factory meaning we can control the quality from start to finish. Rhino Water Tanks takes pride in the safety, durability and quality of our products and even our manufacturing plant. We work to help you make the most of your water storage systems. Get in touch with us today to place an order or for more information about our domestic and rural water tanks. Note: RT-310 and RT-365 height is 2.9m. COLORBOND COLOURS: Pale Eucalypt, Woodland Grey, Cottage Green, Classic Cream, Monument, Paperbark, Ironstone, Deep Ocean, Manor Red, Cove, Shale Grey, Dune, Surfmist, Gully, Evening Haze, Windsprey, Mangrove, Wallaby, Jasper, Basalt, Terrain, Night Sky.